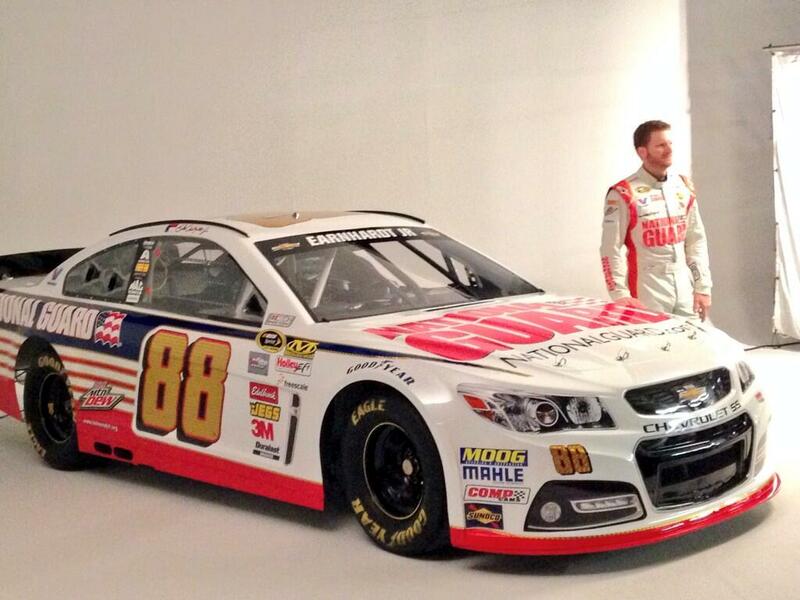 In October, we showed you a rendering of the updated paint scheme on Dale Earnhardt Jr.’s No. 88 National Guard Chevrolet SS. Now, check out the real thing. @TeamHendrick and @MikeHoag88 were busy this morning, Tweeting updates from Junior’s National Guard photo shoot. He’ll even have matching shoes. Junior will also be sporting a new helmet in 2014, designed by Nick Pastura Motorsports.